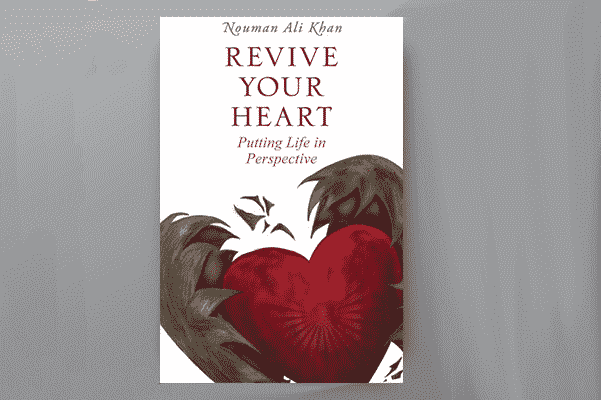 Revive Your Heart: Putting Life in Perspective is one to enjoy digesting and pondering upon, as Khan has used his expertise in the Arabic language to help readers understand the deepest meaning of the Noble Qur’an. This knowledge is also supported with relevant examples and analogies that can be easily understood and enacted in our daily experiences and the situations we face as Muslims and Muslimahs. It really is as if Khan takes the words of Allah and gives the reader sincere advice directly from his heart. The topics, in this thought-provoking book, are divided into five parts with two or three stories from the Qur’an and Seerah (biography of the Prophet ) in each. They range from personal affairs such as our connection with Allah through dua and how we should never think ill of our fellow Muslims to the professional, such as the importance of being moral and conscience of our behavior in our business dealings and financial earnings. This book reminds us not just about the temporary nature of this life, but how we should nurture our heart so it’s ready for the Hereafter. It also touches upon the pertinent issues and challenges affecting the Muslim communities such as the issue of leadership, disunity in the Muslim Ummah and the unacceptable attitudes some Muslim communities have towards women and daughters, despite the beautiful teaching of Islam that call us to honor them. We feel that this book is a must read for all Muslims – men and women, community leaders, married and single, young and old, even teenagers! For the Ummah, this book is a wake-up call that asks us all to re-evaluate and question our understanding of our deen and our personal connection to the book of Allah . Through such exploration, this book also guides us and helps us to realign our perspective so that our hearts are called to remember the temporary nature of this present world and to look and work towards jannah as our final destination. This book is also an excellent resource for people who want to learn the essence and the real message of Islam. We can give it for people as a gift also in order to enlighten and open up the hearts that are waiting for the message and joy of Islam to fill them. So, if I find, and if you find yourself being lazy, then you have to ask whether or not your beliefs in the afterlife are concrete enough. Contemporary culture asks us to think of death as the ultimate conclusion to what should be a hedonistic existence, while our deen teaches us that death is only the beginning of our true lives. The real test of leadership is not when your followers are following you; the real test of leadership is when your followers disappoint you. What we like the most about the book is how Khan makes enormous efforts to explain the meaning of important words or verses in the Qur’an so that the reader may actually understand and appreciate the message and beauty of their religion. Nowadays, the ongoing developments in technology and everything around us can easily distract us from our duties and purpose in life. It is as if our physical body is just going through the motions, and our hearts (and rooh (soul)) are dying. This book reminds us of the moment when someone’s heart stops beating and how we immediately resuscitate him/her with a defibrillator. But where is that sense of urgency when our soul/rooh is dead, or weak? How many of us rush to the words of Allah that will not only bring our heart back to life but also open the door to Paradise? Enroll in the Academy now to join the ProductiveMuslim Book Club! 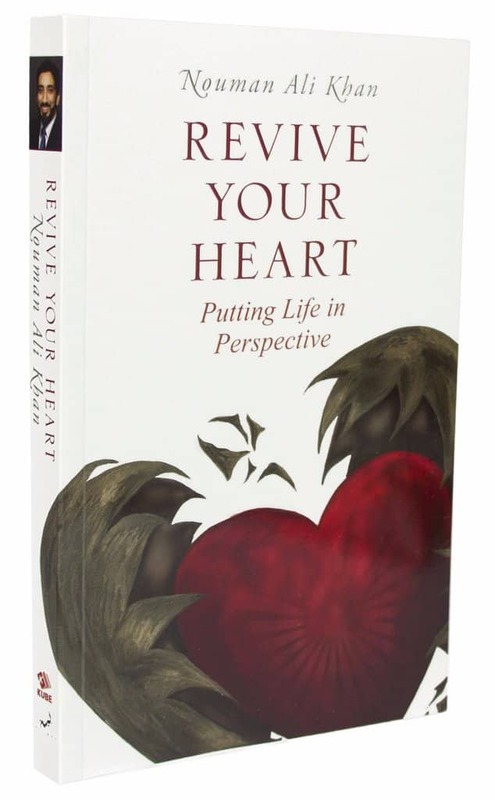 Have you placed an order for your copy of Revive Your Heart: Putting Life in Perspective? What are your ways to rejuvenate your heart? Share with us in the comments. Also, please, let us know if this review was helpful.